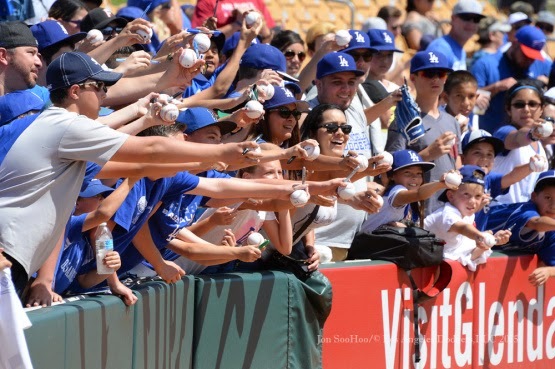 THANK YOU, ARIZONA: The Dodgers finish their home portion of the spring schedule today, officially saying goodbye to their seventh season at Camelback Ranch. So far this spring, Los Angeles is 7-4-3 at home, and 140,925 fans have come through the gates this March. The Dodgers sold out their games on March 13, 14, 19 and 27 and want to thank baseball fans in Arizona and Dodger fans across the country. For the Camelback finale, the Dodgers, who have the National League’s best spring winning percentage at .667, will take on the Chicago White Sox for the fourth and final time this spring. Los Angeles has taken two of three from Chicago thus far, losing the Cactus League opener, 6-4, before coming back to win on March 5 and March 26. Just a friendly reminder, Opening Day at Dodger Stadium against the San Diego Padres is in just six days. ANOTHER DAY, ANOTHER WIN: The Dodgers beat the Diamondbacks in Scottsdale yesterday, 4-2, behind a strong start from left-hander Brett Anderson. Anderson moved to 2-0 in the Cactus League, tossing 6.0 scoreless innings and giving up just four hits while striking out two. The native of Texas walked one and lowered his ERA to 2.13 this spring. As of now, Anderson is slated to start his first game during the regular season on April 10 in Arizona. At the plate, Adrian Gonzalez, Kiké Hernandez, Carl Crawford and A.J. Ellis produced run-scoring hits. LET’S MAKE A DEAL: Today, the Dodgers acquired minor league utilityman Elliot Johnson from the Rangers in exchange for cash considerations. Johnson appeared in seven games for the Indians last season and spent most of the season at Triple-A Columbus, hitting .236 with five homers in 87 games. 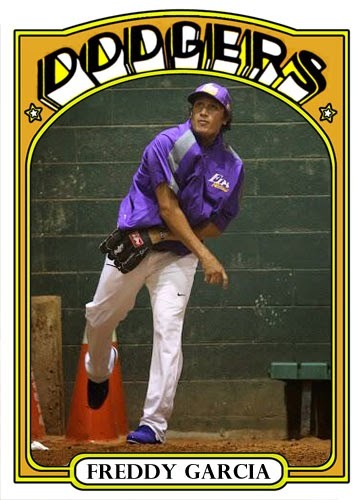 In addition, the club signed right-hander Freddy Garcia to a minor league deal. Garcia pitched last season in Taiwan. DONNIE DODGER BASEBALL: On this date in 2011, Don Mattingly recorded his first victory as a Dodger manager, a 2-1 victory over the Giants. That game was also the first-career Opening Day start for Clayton Kershaw, who is set to make his fifth consecutive Opening Day start on April 6 vs. San Diego. Mattingly has a career record of 354-293 and his .547 winning percentage ranks fifth in franchise history among managers with at least 250 games at the helm, trailing just Charlie Dressen (.642), Burt Shotton (.603), Leo Durocher (.567) and Walter Alston (.559). FOLLOW THE CACTUS LEADERS: The Dodgers have blasted a Major League-leading 45 home runs (four more than the Cubs’ 41) and have a .288 team batting average (3rd, NL) with a .490 slugging percentage (2nd, NL) this spring. Joc Pederson continues to rank among the NL leaders this spring in batting average (.368, 7th), slugging percentage (.754, 3rd), hits (21, T-2nd), runs (13, T-2nd), total bases (43, 2nd) and home runs (6, T-2nd). Justin Turner has hit safely in 14 of his last 15 games and is batting .465 with six doubles, three homers and eight RBI, while posting a .489 on-base percentage and a .814 slugging percentage in 17 Cactus League games. Turner’s 20 hits this spring tie for fifth-most in the NL and his 35 total bases rank eighth. Yasiel Puig ranks among the NL’s best this spring in home runs (5, T-4th) and RBI (13, T-7th); Kiké Hernandez places among the league’s best in home runs (5, T-4th) and runs scored (12, T-5th). ON THE MOUND: RHP Joe Wieland, sporting a 1.00 ERA (1 ER/9.0 IP) in four Cactus League games, will make his first start this spring today. Wieland was optioned to the minor leagues on March 16 and figures to start the season in Triple-A Oklahoma City. 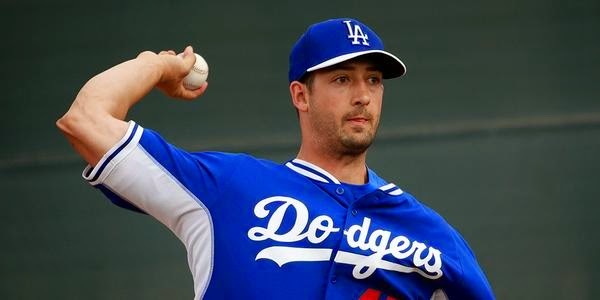 The Nevada native was acquired from the Padres in the Matt Kemp deal and is 35-22 with a 3.27 ERA in 95 games (87 starts) during seven minor league seasons with the Rangers and Padres’ organizations. RHP David Aardsma will see action for the ninth time this spring. The veteran reliever has held opposing hitters to a .143 batting average, while striking out nine through 8.0 innings of work. RHP Juan Nicasio is expected to make his eighth appearance, including one start, of the spring this afternoon. Nicasio, who was acquired from Colorado on Nov. 24, 2014, has 11 strikeouts and just two walks in 11.1 innings this spring and has a 2.18 career strikeout-to-walk ratio in four big league seasons (294 SO/135 BB). RHP Sergio Santos has tossed scoreless relief in five of eight appearances this spring, while striking out 10 in 7.2 innings. He last pitched in a big league game on Sunday against the Giants, allowing two runs in 0.2 innings of relief.